Kyle is originally from Flower Mound, Texas. He started interning with TexAgs in the summer of 2018. Kyle graduated from Texas A&M with a degree in Telecommunication Media Studies and a minor in Film Studies. 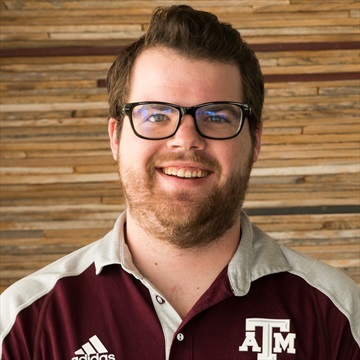 Prior to his time here, he worked a year and a half with 12th Man Productions and two years in youth ministry. In his free time Kyle enjoys going to the movies, eating tacos, and watching the Boston Red Sox. 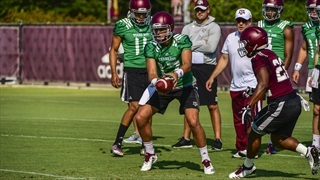 The Aggies hit the field for yet another fall camp practice Tuesday afternoon, and TexAgs was there to catch some highlights. Check out some clips from the scrimmage and more. 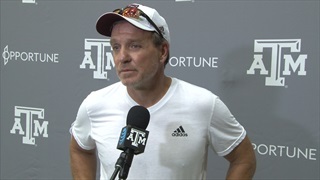 After practice on Tuesday, Texas A&M head coach Jimbo Fisher spoke with the media about the team's toughness and development. Fisher describes how the defense and offense battled in today's physical scrimmage. 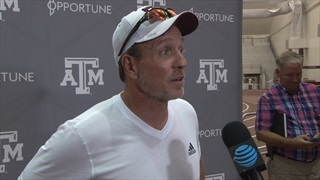 Texas A&M head coach Jimbo Fisher knows the Aggies still have a lot to work on, but he has been pleased with their progress since the spring. He shares an update on the team after practice. Texas A&M went with shorts and shells for its twelfth practice of the fall, and TexAgs was out at the Coolidge Practice Fields to catch the media portion of practice. Check out the day's highlights here. The Aggies hit the field for the seventh time on Wednesday for another fall workout. 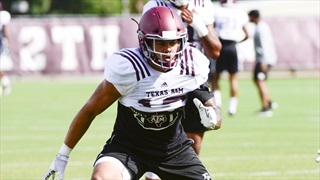 Chronicling the grind of Fall Camp 2018, TexAgs presents a full gallery of photos from Texas A&M's sixth practice. 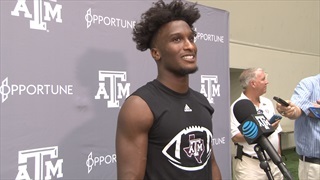 Texas A&M wide receivers Roshauud Paul and Camron Buckley spoke to the media following Tuesday's practice, addressing the progress of the Aggies offense under Jimbo Fisher, the young receiving corps and more. 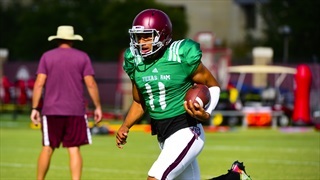 Texas A&M returned to the practice field in full pads as the Aggies continue to prepare for the season opener. TexAgs caught all the action from the session and presents the day's highlights. 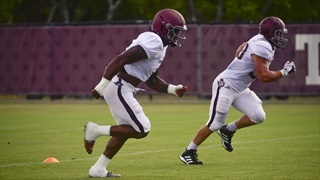 The Aggies hit the field for the fifth time on Monday, putting on pads for the first time this fall. 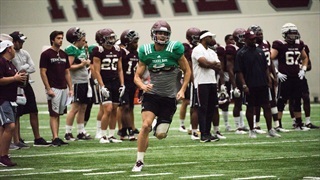 Chronicling the grind of Fall Camp 2018, TexAgs presents a full gallery of photos from Texas A&M's third practice. The Aggies hit the field for the fourth time on Saturday, wrapping up their first weekend back at work. 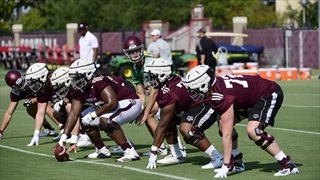 Chronicling the grind of Fall Camp 2018, TexAgs presents a full gallery of photos from Texas A&M's third practice. 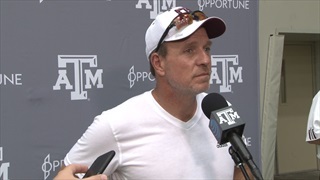 Texas A&M head coach Jimbo Fisher spoke with the media after Saturday's practice about the team's intensity in its first practice in full pads, the quarterback competition and the state of the team after three practices. Texas A&M practiced for the third time this fall on Saturday, and TexAgs was there to catch the action. 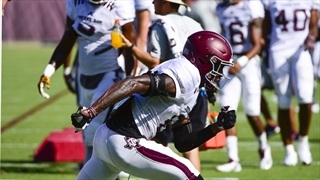 Watch the Aggies tackle day three of fall camp inside. 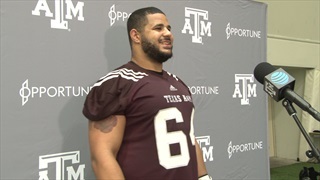 After Texas A&M's second practice, offensive lineman Erik McCoy and defensive back Donovan Wilson opened up about Jimbo Fisher and the rest of their new coaches, leading the team as veterans and more. Jimbo Fisher's Aggies practiced for the second time this fall on Friday, and TexAgs was there to catch the action. 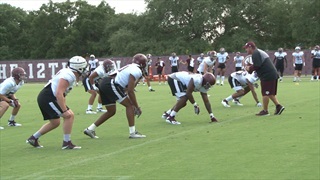 Watch the Aggies tackle day two of fall camp inside. Jimbo Fisher. Mike Elko. Darrell Dickey. Position changes, seniors and freshmen. 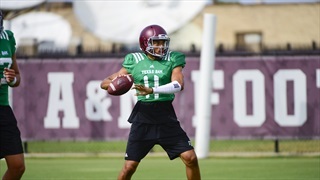 In short, at the outset of Texas A&M's Fall Camp, the Aggies aren't short on storylines — and TexAgs presents Monday's opener in an extensive gallery. 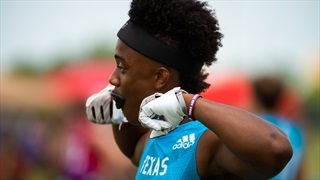 The longest committed player in the Texas A&M 2019 class, St. Pius X WR Chase Lane caught lots of eyes on day two of the State 7-on-7 Championships. TexAgs was in attendance and presents highlights from Lane's performance. 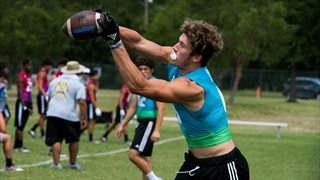 A&M commit Baylor Cupp was at Day 1 of the State 7-on-7 Tournament. TexAgs was in attendance as well and presents a highlight reel of the Aggies 2019 tight end. Following Monday's NCAA Tournament Selection Show in which the Aggies received the No. 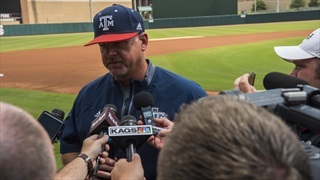 3 seed in the Austin Regional, Rob Childress and select A&M players met with the media to discuss their draw, playing the Longhorns and more. 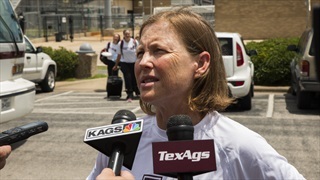 Prior to Aggie Softball's Super Regional matchup with the Florida Gators this weekend in Gainesville, Aggie softball head coach Jo Evans and select A&M players met with the media to preview the series, what advancing to the WCWS mean.